Northern Lights Cedar Saunas has partnered with leading Korean based infrared sauna heater manufacture to provide one of the worlds finest Infrared sauna heaters optimized specifically for saunas. The special formulated carbon-ceramic paper provides a higher temperature and superior radiant effeciency versus any other panel infrared heater on the market. The large surface areas make these heaters ideal for sauna applications as they cover much more body surface area than any other style ceramic tube or incoloy element on the market. The surface temperature of 180-190 degrees provides ideal wave lengths between 4 and 14 microns. This frequency is considered to be the most effective wave spectrum for the human body. Other Infrared sauna heating elements, reach temperatures as high as 500 degrees, the problem with this is that the higher the temperature the higher the frequency. Because of this other style tube or convex heaters produces Infrared but not at the optimum spectrum. This physical phenomena is know as Wiens law that states "The wave length is inversely proportionate to the temperature". What is Carbon Fiber Infrared? 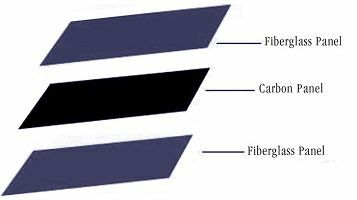 It is a thin paper material that is made up of carbon fibers and ceramic molecules, unlike other heaters the combination of both ceramic and carbon fibers produces more Infrared Wave lengths. The carbon paper is then sandwiched between and epoxy fiber coating for protection. These heaters are so durable that we provide a life time warranty. Because the actual panel is so thin (3/4"), it is very simple to retrofit an existing room into a sauna cabin. The infared sauna heater are hung just like a picture frame, two wires supplied (40") are then attached to a conjustion box and timer switch; that it! 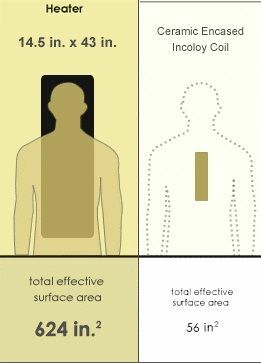 Because of the larger size, the whole human body can be immersed in Infrared rays. 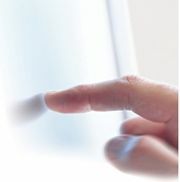 Other heaters are very specific and only provide direct heat to the part of the body in front of it. Most companies add reflection housings but the fact is Infrared light is very hard to redirect and very little is actually dispersed outside of the direct path. 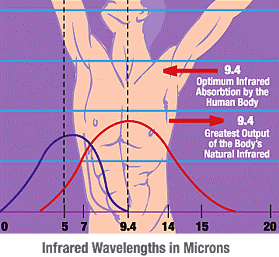 Unlike other infrared sauna heaters, the max surface temperature is under 190 Fo, while hot, this will not burn skin. Each IR heater also comes with a safety hi-limit switch on the back. unlike other sauna heaters that burn out, Northern Lights Infrared Sauna heaters come with a lifetime warranty against manufactures defects. 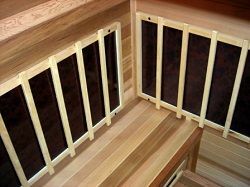 An estimated 80 percent of the infrared sauna heaters sold in North America do not have the proper certifications and can be both a hazard and a liability for the home owners.